Tobacco is a common and highly dangerous risk factor of many chronic noncommunicable diseases, killing millions annually. Roughly 1 person dies from a tobacco-related disease every 6 seconds, equivalent to around 6 million people a year. Tobacco use is the one risk factor common to the main NCDs and also contributes to countless other diseases. The WHO FCTC sets out legally binding measures for achieving agreed targets to reduce the burden of tobacco-related diseases. Tobacco users who die prematurely deprive their families of income, raise the cost of health care and hinder economic development. Tobacco kills around 6 million people each year; that is one death roughly every six seconds. More than 5 million of those deaths are the result of direct tobacco use while over 600 000 are the result of non-smokers being exposed to second-hand smoke. In 2012, 21% of the global population aged 15 and above smoked tobacco, 80% of those users in low and middle income countries. Men smoked at five times the rate of women; the average rates were 36% and 7% respectively. Tobacco use is a common risk factor to the main NCDs - cardiovascular disease, cancer, chronic respiratory disease - and other diseases including tuberculosis and neurological disorders. Globally, 14% of all NCDs deaths among adults aged 30 years and over are attributable to tobacco. Tobacco use is also responsible for 3.7% of disability-adjusted life years (DALYS), globally. Tobacco does not have an environmental vector in the way that communicable diseases do, like malaria has mosquitos; tobacco is problematic because it is a valuable commodity to the tobacco industry, its vector of disease. Tobacco smoke is dangerous to the health of smokers themselves, and can be dangerous to those passively exposed to tobacco smoke. There are more than 4000 chemicals in tobacco smoke, of which at least 250 are known to be harmful and more than 69 are known to cause cancer. With robust evidence of the health, economic and environmental consequences of tobacco use spanning decades, the World Health Assembly adopted the Framework Convention on Tobacco Control (FCTC) in 2003. The treaty entered into effect in 2005. Since then, it has become one of the most widely embraced treaties in the history of the United Nations, with 180 Parties covering nearly 90% of the world's population. These Parties implement a wide range of evidence-based measures based on the articles of the FCTC. 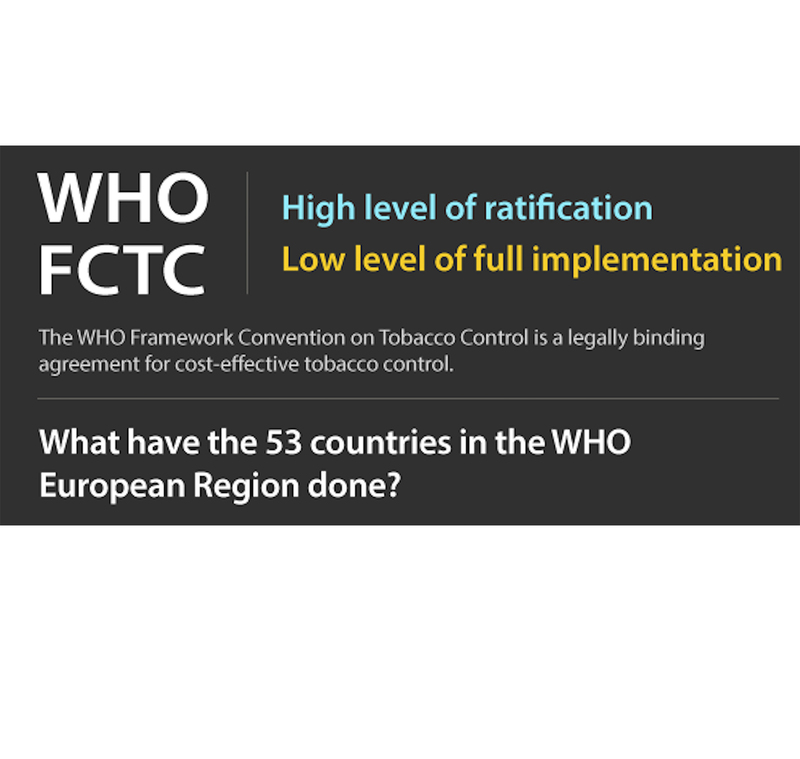 Despite its great ratification record, FCTC implementation has been uneven. Developing country Parties in particular face domestic barriers that include weak political commitment, inadequate resources and interference from the tobacco industry. Education, communication, training and public awareness (Art 12). Now that treaty negotiations over the policies and guidelines are largely complete, the focus must turn to supporting and accelerating effective implementation of the treaty. The two major obstacles: lack of political will and lack of investment in tobacco control, particularly in low- and middle-income countries. 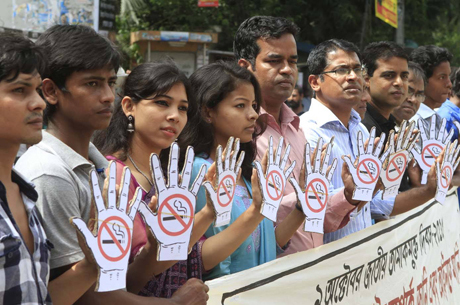 Stopping tobacco industry interference with health policy. The Atlas graphically details the scale of the tobacco epidemic; the harmful influence of tobacco on health, poverty, social justice, and the environment; the progress that has been made in tobacco control; and the latest products and tactics being deployed by the industry to protect its profits and delay and derail tobacco control. Introduces the problem of tobacco, particularly in the context of low and middle income countries, and provides an overview of how tobacco impeded progress on the Millennium Development Goals. The continued success in global tobacco control is detailed in this year’s WHO Report on the Global Tobacco Epidemic, 2015: substantial progress has been made since the entry into force of the WHO Framework Convention on Tobacco Control (WHO FCTC) ten years ago. The FCTC is 10: Should we celebrate? February 27 will mark the 10th anniversary of the WHO Framework Convention on Tobacco Control (FCTC), the first global public health treaty. Today the FCTC has 180 Parties, making it among the most widely-adopted international instruments. On 27 February 2015 the WHO Framework Convention on Tobacco Control (WHO FCTC) celebrates 10 years since its entry into force. 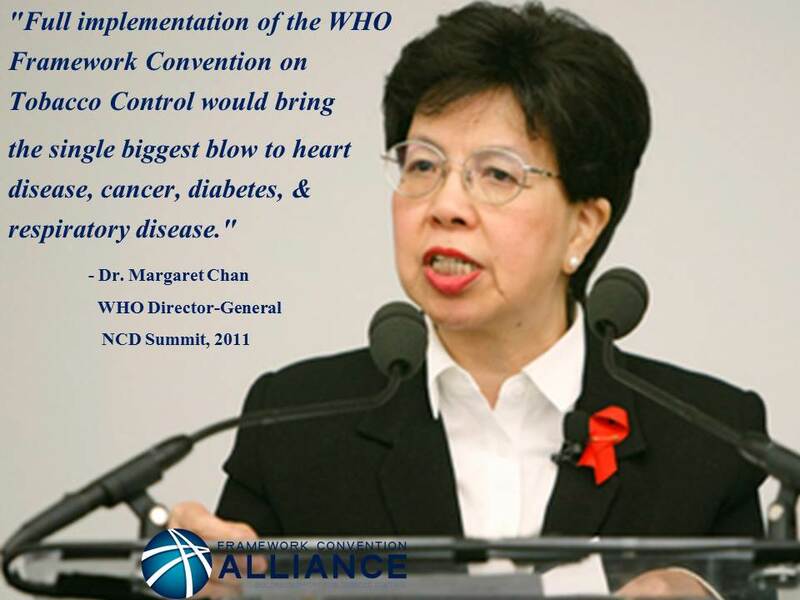 February 27 is the 10th anniversary of the entry into force of the WHO Framework Convention on Tobacco Control (FCTC). The treaty now has 180 Parties, which account for nearly 90% of the world's population. After a five-year wait, Brazilian civil society is cheering a Supreme Court decision that a regulatory agency has the power to ban additives and flavours in tobacco products.